A contemporary and dynamic ambience of the OPD with modern facilities, including Wi-Fi and therapeutic music, gives a special character to the place. The cool natural surroundings merge with its interiors. The architecture of the institute allows light, ventilation and free movement of air in such a way that one hardly needs to use electricity either to illuminate or to cool the interiors. Thus, the institute’s philosophy of green-design becomes vivid. Wide corridors, rooms, central courtyard with birds, pets and palm trees all make the interior of the institute very user friendly. The large OPD waiting hall is open to the natural surroundings with a central large LCD screen displaying educative programs in basic health care and related topics. The LCD also displays ongoing surgeries which the relatives of the patient can see online. No part of the institute has any repulsive hospital odour. All the walls of the institute have wonderful art and craftwork, many of them done by Sofiya. The audiology and speech therapy department of the institute also has a very modern and pleasant interior with glass partitions. It has a soundproof room, ear mould lab, a speech therapy room, a separate BERA and ASSR room. The audiology department is equipped with computers, pure tone audiometers, impedance audiometers, Biologic system for OAE, BERA, ASSR, VEMP, P300, MLR, LLR, etc. The pathology department, in consonance with the rest of the institute, has vibrant interiors with modern design. The department is also equipped with cell counter, microscope, centrifuge, computers, freezer, etc. The entire operation theatre complex is completely isolated and air-conditioned. It has two operation rooms, a recovery room, ICU, and a central sterilization room. For sterility purpose, the OT has double door facility. The interior of the whole OT complex is well thought out in terms of utility, sterility and function. The colours and the aesthetics of the OT complex are very calming. 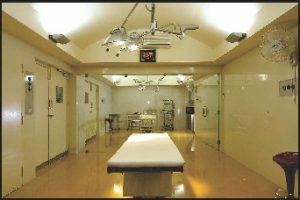 The two operation rooms are visually connected and acoustically separated. This helps in keeping the two rooms disturbance free, but, visually accessible for the purposes of monitoring. This enhances the safety for the patients many times over. 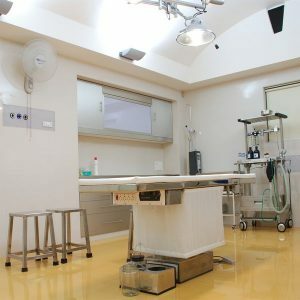 (3) Since all the machine is in the machine-rooms, their maintenance does not jeopardize OT sterility or interfere with the function of the operation rooms. – 15 KVA Generator with canopy with remote start and auto switch-off. – 29″ TV in waiting hall with connectivity from operation theater. – Central Oxygen, Nitrous Oxide & Suction Line. 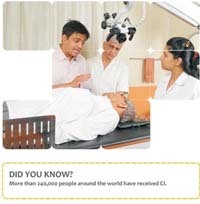 – Closed circuit audio-visual display of live surgery for patient’s relatives. – Color TV in Special & Deluxe Rooms. – Colored closed circuit surveillance camera for security. – Computerized video recording for IPD & OPD patients. – Excellent ambience of hospital environment. – Free ENT diagnostic and surgical camp for the poor patient organized every year. – Fully air conditioned Auditorium with 100 sitting capacity for seminar and workshop. – Fully equipped 2 Major Operation Theater. 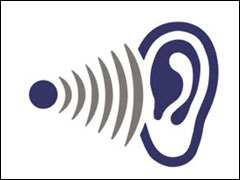 – Fully equipped Audiology department. – Hearing aids dispensing unit. – Hot and cold water for bath in all rooms for patients (24 hours). – Isolation room for infected cases. – Lamination machine for long term case paper preservation. – National Board of Examination, Ministry of Health, Govt. of India, accredited institution.